Hi friends. 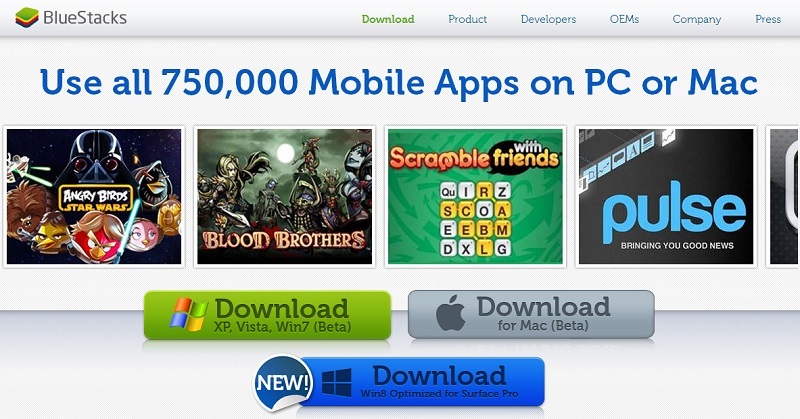 Have you ever imagined that you can experience the joy of using Android Apps on your PC. Now no need to have mobile supporting Android apps, you can directly run Android apps on PC . First download Android apps for free and then install Bluestack App player to run those apps. If you are already having an android mobile, then also this app will be useful. When you turn on your PC, you can get all notifications there also. So it’s like having Android in both devices. Now if your machine meets the requirements given above, then you are ready to use the player. First download the tool from Here. Download it according to the OS you have. Now install it on your machine. While installing it will download some data and it may take time depending on your internet connection, let it do. After successfully installing run it. It will look something like below. You can see some apps at the top and the right side. Download these apps by clicking on them. Also, there is a search bar where you can search for your desired app. Now enjoy all the Android apps on PC. Bluestack provides you the experience of using Android apps on PC. So before purchasing an Android phone, you can use it and experience the apps. If you have any doubts, please comment in the section below. Also if you like our posts, Do Share them on Facebook and Twitter. how to change whatsapp’s pro pic in these bluestrack from our pc pic.?? ?